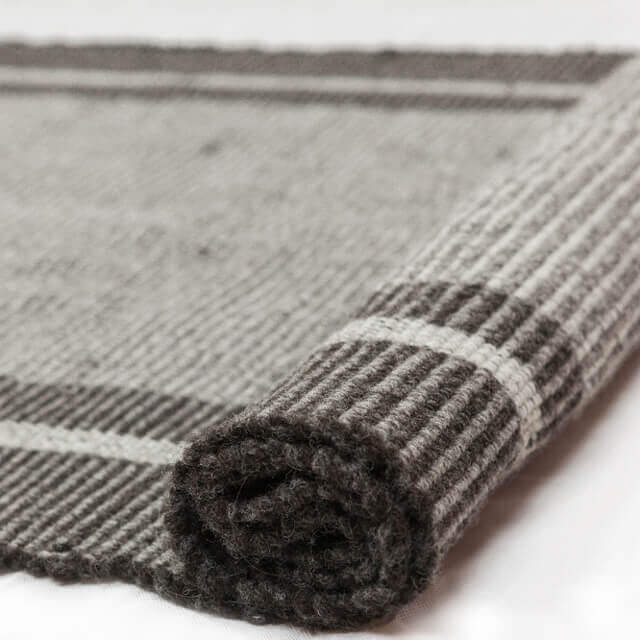 Pure new undyed British wool in natural shades of greys in a stripy pattern. 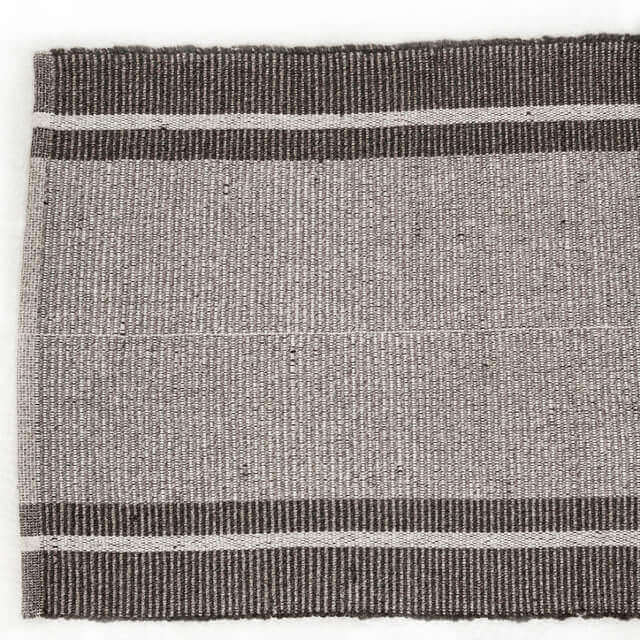 A hand-woven runner rug made from the highest quality of thick pure new undyed British wool in natural shades of greys in a stripe pattern. 100 % Pure new undyed natural British wool.